LED light package D for spas. Easiest way to add LED lighting to most spas that have a standard 12 watt/5 amp light bulb. 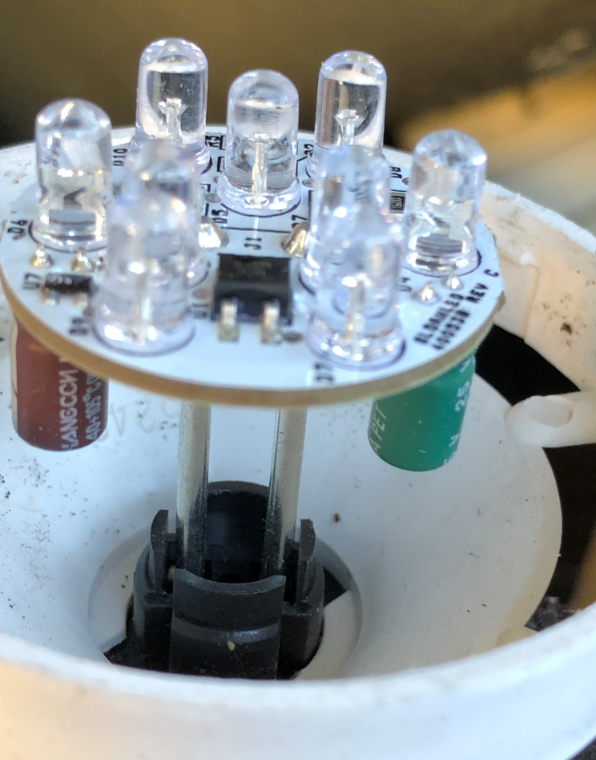 This 9 LED bulb has 9 points of light and fits into most standard hot tub light sockets that support 12 volt/5 watt light bulbs. Fits in most 12 volt wedge type hot tub light receptacles. Factory original LED light bulb used in QCA Spas. We also offer LED light bulbs for most other spa brands/many are interchangeable. Colors can change or remain constant for the perfect mood. Choose from different colors with a 50% brighter cluster than traditional LEDs. Transform your white light into a symphony of color! The replacement LED light bulb plugs right into the wedge type socket in the hot tub 12 volt light fixture. Low electricity consumption and works from your existing spa light switch. Since it is LED, it has a very long bulb life. Make your water dance with color! The 12 volt light fixtures on many hot tubs are accessible from the rear. This particular type twists left to unlock and right to lock. The same fixture can accommodate either the standard 5W white light bulb or this LED light bulb that operates on 12 volts. Replacing the standard white light with an LED bulb is great for many reasons. 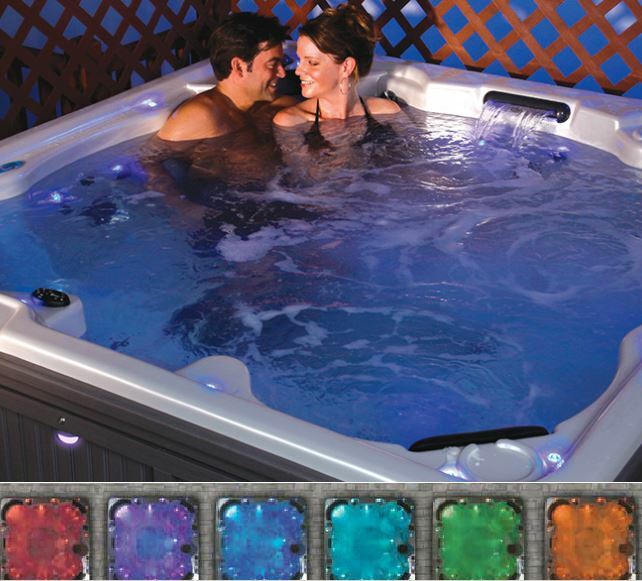 Not only is the hot tub ambiance improved with colored lighting of your choice, but the LED light is cost effective to operate and lasts a long time. 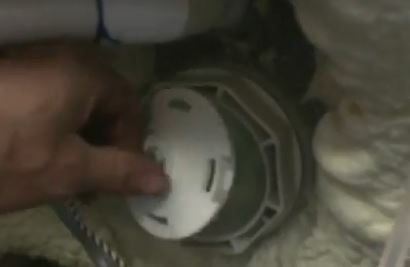 Here is what the bulb looks like installed in the standard light socket. It may need to be force in there a bit, but it fits.